Bitcoin has Forked into Two! 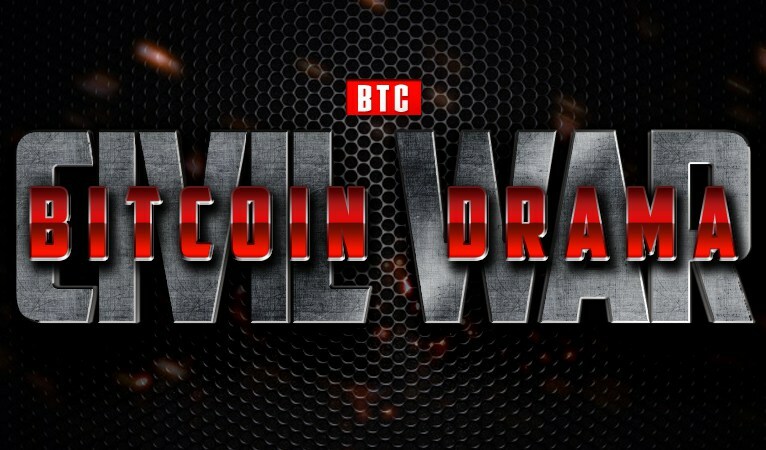 After squabbling for years over how to fix the growing pains of the world’s first decentralized cryptocurrency, one of the sides in the ongoing Bitcoin Geek War has finally made a bold move. This week, on August 1st, a small number of the “big blockers” performed a “hard fork” and broke away from the main Bitcoin blockchain, creating a new currency, “Bitcoin Cash“. This had the added benefit of giving everyone who already held Bitcoin an equal amount of the new Bitcoin Cash! Ever heard the phrase, “there’s no such thing as a free lunch”? Bitcoin’s first fork into two has proven that statement wrong. Read on to learn more about this historic week in Bitcoin. The blockchain is the distributed, decentralized ledger that contains every transaction that has ever occurred on the Bitcoin network. It’s approximately 150 GB in size. Since the hard fork, there are now two “Bitcoin” blockchains competing for market dominance. Both of them have the exact same transactions from the beginning of Bitcoin nearly a decade ago, running until August 1st, 2017, when at just after 2pm Eastern time the first “Bitcoin Cash” block was mined into existence, at greater than 1 MB – in fact, its size was about 4 MB. Bitcoin mining doesn’t actually look like this. In Bitcoin, there’s a thing called mining difficulty that is basically designed to increase as more people enter mining and compete to discover scarce Bitcoins. However, should people leave the mining game, the difficulty will decrease. In BCH’s case, when they started their fork, their network was at the same difficulty level as BTC, but with a fraction of the total mining power. That’s why it took six hours for the BCH miners to find their first block! Normally Bitcoin blocks are expected to be found every ten minutes. So, this means BCH transactions were, in the beginning, taking hours to confirm! They are as of this writing, still taking longer than BTC transactions. Worse still, no one who wanted to sell their newfound BCH was easily able to do so for at least the first couple days of its existence. Due to concerns about certain technical attacks that are possible in the time after a fork, cryptocurrency exchanges were extra cautious before allowing BCH deposits to trading accounts. However, while they weren’t allowing people to deposit BCH, they WERE allowing them to trade it. Huh? How can one trade something on an exchange to which one can’t deposit? Remember, after the fork, the people with BTC in their exchange accounts were given a balance of the same amount of BCH. (Except at the Bitfinex exchange, who screwed over their customers.) So, since trading was happening but no one could deposit, the price of the new BCH trended upward, even reaching as high as $800-$1,000 on some exchanges. 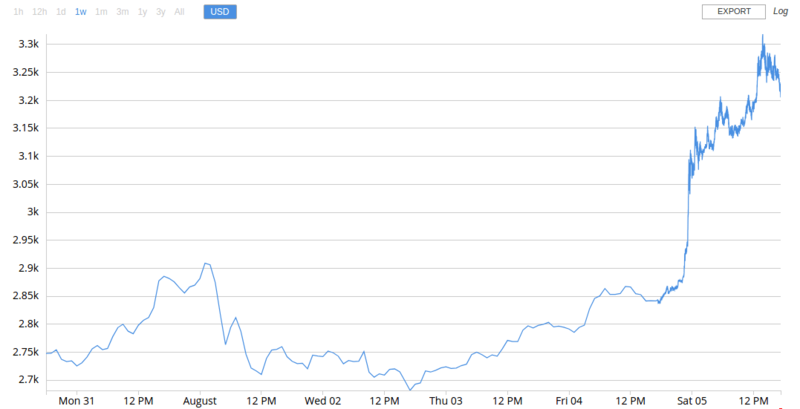 Bitcoin Core (BTC)’s price over the last week, according to Bitcoin Average. On August 1st at noon Eastern time, BTC was worth just over $2,700 USD per BTC. There were roughly 16.4 million BTC in the market at that time, meaning the total value or “market cap” of Bitcoin Core at that time was 44.2 billion US Dollars. About an hour later, because of the “hard fork”, “Bitcoin Cash” (BCH) was created. There were instantly 16.4 million BCH created that out-the-gate had a market value of approximately $300 per BCH, or about 11% of the value of a BTC. Nearly $5 billion additional worth of cryptocurrency was literally created from thin air. Amazingly, the price of BTC did not respond to this new competitor by losing $300 worth of value as some had expected it to. 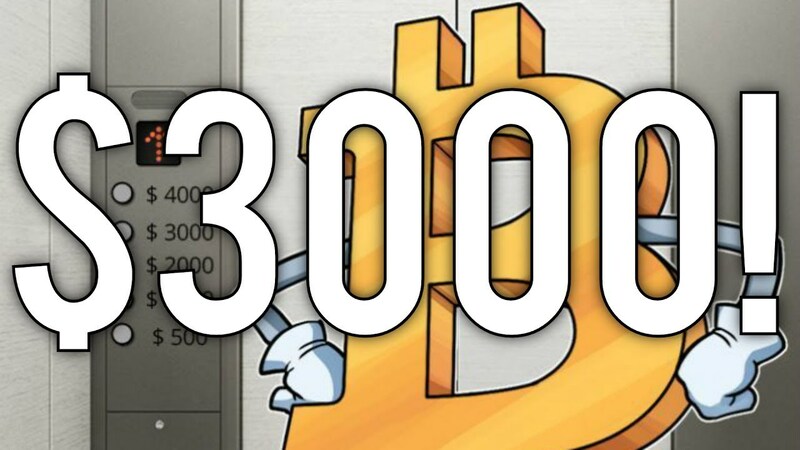 Instead, BTC’s price held steady for a couple of days and last night shot up to a new record high of over $3,000 USD! Though the price of BCH has fallen to the $200-$250 range in the last couple days, the fact is, there are billions of dollars of extra value now where none existed before. As I’m editing this article, the price of a BTC is over $3,200 and BCH is just above $200. Less than one week from the fork, and BTC’s market cap is up to $52.4 billion from it’s pre-fork cap of $44.2 billion. PLUS BCH’s market cap is around $2.9 billion. Combined, that’s a total of $55.3 billion dollars of value. Meaning, since the fork, $11.1 billion of value was created in under a week’s time! Put another way, rather than going down in price as some predicted (including me), the combined value of BTC and BCH went up 25% since Tuesday! BTC price is past $3,200 as I’m posting this! That means if you had one bitcoin before the fork, you’re literally now 25% wealthier. Who knows what will happen tomorrow, but this week has been an unqualified success. All the people from the Bitcoin Core side who’ve been hating on Bitcoin Cash and its supporters like Roger Ver, should be saying they are sorry as they cash in their BCH on exchanges for BTC or some other cryptocurrency they prefer. They got that free money because of the very thing they hate! How ironic. It’s important to point out how incredible this is when compared to the fiat government/bank money we’ve had up until Bitcoin. In a system where a central “authority” prints money and forces people to use it (that’s what “legal tender” laws do), inflating the money supply is an insidous tax. It takes wealth from those holding the fiat currency (in our case US Dollars) and transfers it to the political class, like the Military Industrial Complex. This is one of the key ways the state is able to make endless war. They can just print the money, meaning more dollars chasing the same amount of goods, which devalues the currency. If the government’s Federal Reserve doubled the money supply tomorrow, prices would rise dramatically, as we’re seeing happen in Venezuela. Conversely, in Bitcoin’s case, there now being about as many BCH in circulation as there are BTC has INCREASED the value in the BTC holders’ hands. Bitcoin is not centrally controlled and as we’ve seen this week, when one group feels strongly enough about a direction they want the currency to go, and can’t get everyone to agree, they can break off their own. Though BTC and BCH are both Bitcoin, they are using different blockchains and so are different currencies. Creating 16.4 million BCH from BTC didn’t dilute the value of BTC at all! That’s not to say these forks should happen frequently. This week has been a confusing, fascinating, learning experience. I’ve been deep into it all week and haven’t gotten much else done besides follow this historic, developing situation. 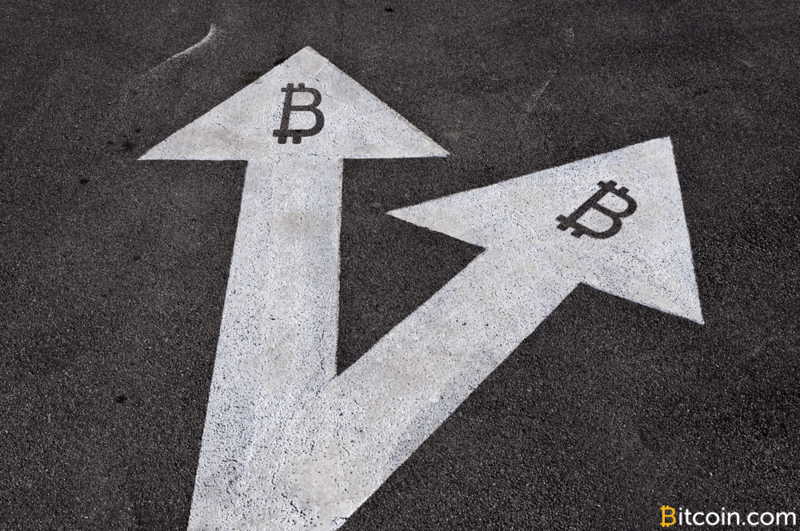 The world’s first and most successful decentralized cryptocurrency has split over an ideological divide, much in the same way as political and religious movements have done. My view is the sides in this conflict are ridiculous. Both currencies are Bitcoin. Unlike the hundreds of Altcoins, Bitcoin Cash has the original Bitcoin blockchain until it forked August 1st. It’s Bitcoin. Bitcoin Core is also bitcoin and it’s also still the king of the hill of cryptocurrencies. While the soon-to-activate “Segregated Witness” technology may not be Satoshi’s vision, whether it improves or hurts bitcoin will be up to the market to decide. To add some extra confusion to this situation, besides the branding frustrations, both Bitcoins’ wallet IDs are the same, which is going to cause some inevitable confusion and heartache as people accidentally send BTC to BCH addresses and vice-versa, meaning countless amounts of each currency will be lost. This has already started happening, so if you’re getting into BTC or BCH, make sure you know which one is which and pay attention to which wallet you are using, and what kind of wallet you’re sending to. If you’re not sure, don’t do it! If you’re in the Monadnock region of New Hampshire, drop into the Monadnock Decentralized Currency Network meetup group in real life, or the facebook group, and also the NH Bitcoin forum. We discuss stuff like this every eight days at our meetups, and online daily. Regardless of its haters’ opinions, Bitcoin Cash appears to be here to stay. It’s been a rocky start, but that was to be expected. Now the market will decide based on competition, which is the most useful Bitcoin. I hope my week-in-review has been helpful. Of course, there’s a lot more that could have been said, like commenting on what’s happening with the mining of BCH or the very public reversal by top exchange Coinbase who last week told their customers to pull their BTC out before August 1st because Coinbase would not be supporting BCH. This caussed major withdrawal delays at Coinbase as untold numbers of customers tried to get their BTC out before the fork. Then, a day or so after the launch of BCH, Coinbase emailed their customers again to say they were going to implement it after all and credit all their BTC customers with BCH in their accounts. Though, it may take them the rest of the year to do it! It’s been a really interesting week in cryptocurrency. P.S. If you have your Bitcoin in a non-custodial wallet as I recommended you do before the fork, here’s one of the easiest ways to get access to your BCH via the Coinomi wallet. Keep in mind though, it’s still very early and it may be best and more secure to just wait until more wallets implement BCH support. Bunnycoin (BUN) is a great beginner coin for people interested in getting started in cryptocurrency. Another about face. Which periodical did you rip this story from? Your last several articles about bitcoin only shows the instability of a crypoto currency. The only way to regulate it’s use is through a government. Otherwise you can be ripped off or bankrupt in no time. What exactly do you find wrong with the concept of self-regulation, Jacks? That idea has worked just fine for the rest of us, you know. Do you need to ask a bureaucrat for advice about every decision you make in your life, honeybunch? Jumping Jacks: My company has been accepting Bitcoin for years and it’s got so many freeken financial benefits that I’m quickly becoming a very very wealthy individual. I don’t even invest in Bitcoin or crypto. I merely take it, hold it until I need to buy something, and then spend it. Calculating the losses and gains the gains have far outweighed any losses over the long haul even if you ignored the going price like I have. You can take in $1000 in payment with Bitcoin, have it go down to $700, spend it all, and still over the long haul make out despite having lost $300. At least if you keep using it because the next $1000 in Bitcoin you get is likely to increase in value more significantly than that $300 loss you had. Just look at a graph some time. Nobody whose ignore the prices at a given moment has lost money if they’ve taken in and spent it regularly all these years. I treat Bitcoin like cash. But cash doesn’t increase in value and you don’t get significant discounts from spending it either like you can get from Bitcoin. Besides my business saving 3%- or put another way doubling profit margins on certain high cost low profit products that we sell it also has nearly eliminated shrink (mostly loss as a result of theft). You don’t have to pay $40 plus bite the cost of losses from fraudulent charge backs like you do with credit cards. Shrink can be as high or higher than 3%. 3% is the point where a retail store will start to do things like install cameras which means basically EVERY store now has them because most stores have more than 3% in shrink. And then after all savings that my company managed to get we also have increased profits through securing discounts on materials we use in the manufacturing process which results in 19-33% savings. We get a discount for paying suppliers in Bitcoin! That in turn means that on some products we are making 23 times as much money as we were before Bitcoin. Would you really turn down Bitcoin if it increased your paycheck 23 times? hmm that $7 an hour you probably make would become $161 an hour. I suppose you would- because your just that stupid. Finally, an easy and safe way to mine Bitcoins!